Could London’s zombie outbreak be coming to the Xbox One and PS4? It appears that Ubisoft is may be planning to resurrect the Wii U horror title ZombiU as it has been spotted on the Australian Ratings Board Database. Now called Zombi, the Australian Ratings Board rated it MA 15+ due to “strong horror violence, blood and gore.” The game has also been listed as modified by the Ratings Board and according to IGN, it even shares an identical file number to ZombiU. This news also follows on a report awhile ago by Unseen64 Tamaki who confirmed that Ubisoft are developing the game. According to him it will be coming for the PS4 and the Xbox One, but it should be noted that the Australian Ratings Board only listed the Xbox One version. If this news turns out to be true, it will be interesting to see how Ubisoft will port Zombi since the game was built with the Wii U’s controller touchscreen in mind. 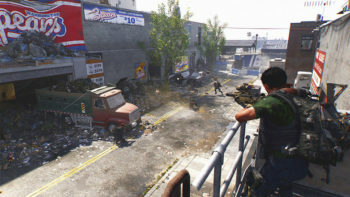 Players would use the touchscreen to search through their supplies for items in real-time, even if they were surrounded by zombies. 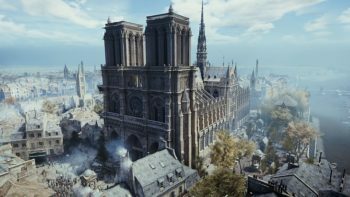 It’s interesting to hear that Ubisoft may be working on a port since the game failed to sell well on the Wii U despite being a launch title and being heavily promoted. At one point the Ubisoft boss, Yves Guillemot, said that the game came “not even close” to turning a profit and this was part of the reason behind Ubisoft’s announcement that they weren’t going to be making any more mature titles for the Wii U. So what’s your opinion on the news that a port of ZombiU has been spotted on the Australian classification board database? Let us know in the comments below.